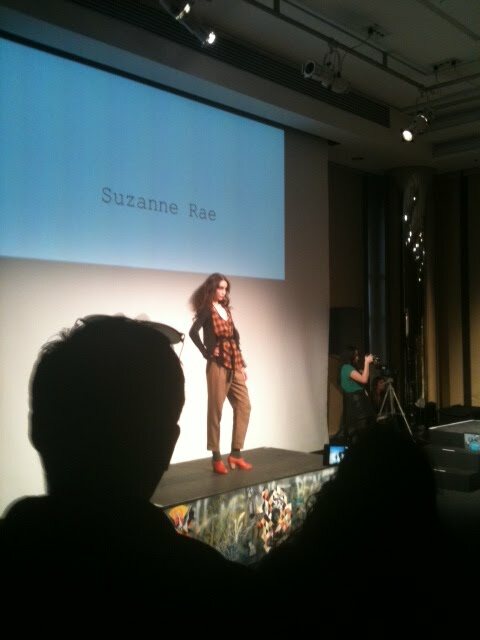 Suzanne Rae Fall 2011 presentation was pretty straightforward of her point of view of designing for the modern woman. Majority of looks reminded me of what the movie character Annie Hall would wear. There were a lot of flannel coats, high waist pants and plenty of menswear inspired loafers to go around.